POPULAR ACTOR’S TRIUMPH BIKE GOES MISSING! Popular Bollywood actor Amit Sadh who was seen in Sultan, Akira and Sarkar 3 is currently shooting for Akshay Kumar's 'Gold'. He woke up to a heartbroken shocker this morning. The star who was staying in a hotel in London was making his way to the shoot and when he reached the parking place, he was shocked to see his super bike Triumph T120 Bonneville missing. 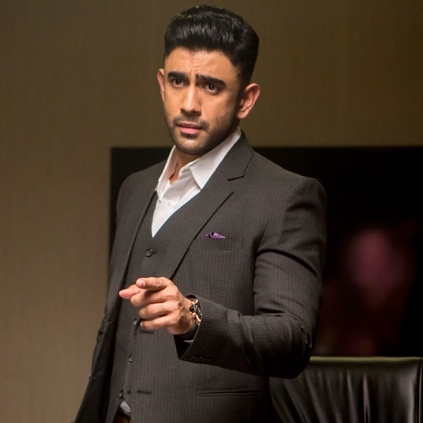 Amit Sadh lodged a complaint and also took the issue to his Twitter. He wrote. 'Got up at 5.30 in the morning & was all set to ride my #Triumph bike to the sets of #GOLD when it went missing! Hope that they track it soon'. Akshay Kumar Was Mistaken For Justin Bieber At The Mumbai Airport. People looking for online information on Akshay Kumar, Amit Sadh, Gold will find this news story useful.